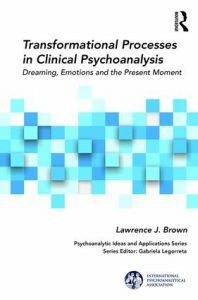 In his new book, Transformational Processes in Clinical Psychoanalysis: Dreaming, Emotions and the Present Moment (Routledge, 2018), Lawrence J. 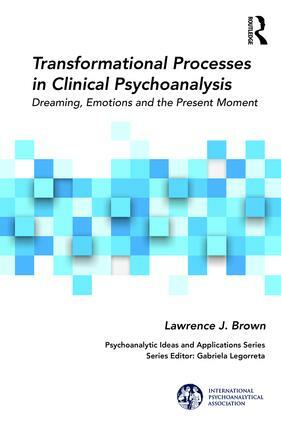 Brown offers a contemporary perspective on how the mind transforms, and gives meaning to, emotional experience that arises unconsciously in the here-and-now of the clinical hour. Brown surveys the developments in theory and practice that follow from Freud’s original observations and traces this evolution from its conception to contemporary analytic field theory. He emphasizes that these unconscious transformational processes occur spontaneously, in the blink of an eye, through the “unconscious work” in which the analyst and patient are engaged. Though unconscious, these processes are accessible and the analyst must train himself to become aware of the subtle ways he is affected by the patient in the clinical moment. By paying attention to one’s reveries, countertransference manifestations and even supposed “wild” or extraneous thoughts, the analyst is able to obtain a glimpse of how his unconscious is transforming the ambient emotions of the session in order to formulate an interpretation. Lawrence J. Brown, PhD, trained in adult and child psychoanalysis and is a faculty member and supervising child analyst at the Boston Psychoanalytic Society and Institute. He is also a supervising and personal analyst at the Massachusetts Institute for Psychoanalysis. Brown has lectured internationally and published papers on a variety of topics, including the Oedipal situation, Bion, intersubjectivity, field theory and autistic phenomena. Contact library@bpsi.org to request access to an audio recording of Dr. Brown’s Meet the Author and book discussion event on Jan 28, 2019.